Thank you for stopping by! Today we want to focus on the real question everyone has: “How does a Blogger make money?” Knowing exactly How Bloggers earn real money online makes it easy for you to start your own Blog. 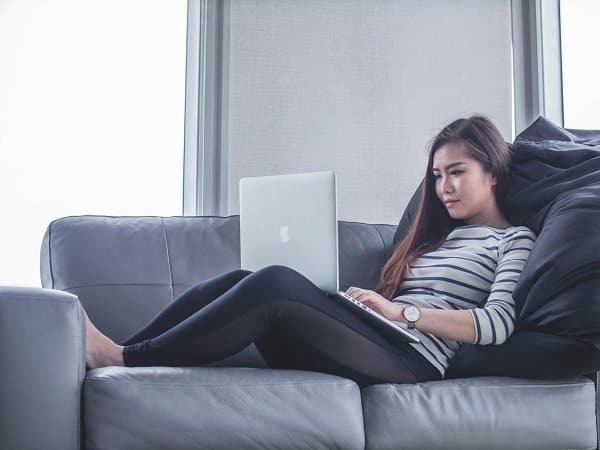 This blog is dedicated to women trying to make money online full-time either by blogging or side hustling. 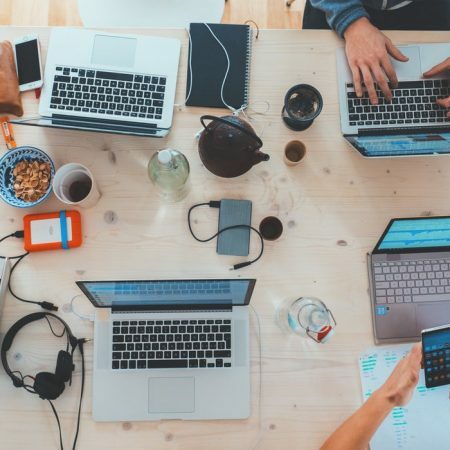 The blog features many articles and helpful information regarding the different ways that we personally have learned over the years about how you can easily monetize your blog even with no experience. Blogging is a fantastic way for you to make money online but it can take some time if you are unfamiliar with the process. Whether you would like to do this full-time or just earn some extra cash on the side, your blog can do this for you. If you are interested in learning easy and strategic ways of making money online, then we are here to offer our tips. We will be focusing on how bloggers earn real money online. 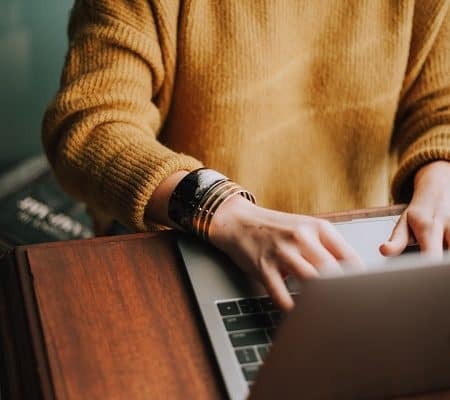 If you are thinking of starting your own blog, or maybe you already have one but you are not sure how to monetize it, we created a detailed blog on how to create or turn your blog into a money-making machine. Yes, we did! You can get the full scope on starting your own profitable blog right here! If you are considering starting your own business blog to make part-time or full-time income, then you have come to the right place. How bloggers earn real money online depends on what you are good at. Our goal is to help new bloggers earn a minimum of $5K per month. If this sounds good to you, then join our community of bloggers making money each month! Remember, it shouldn’t take you years to successfully monetize your blog. A lot of the strategies we will be sharing throughout our blogging journey can help you start making money as early as the next 30 -60 days. So let’s get on with it. How bloggers earn real money online by blogging. 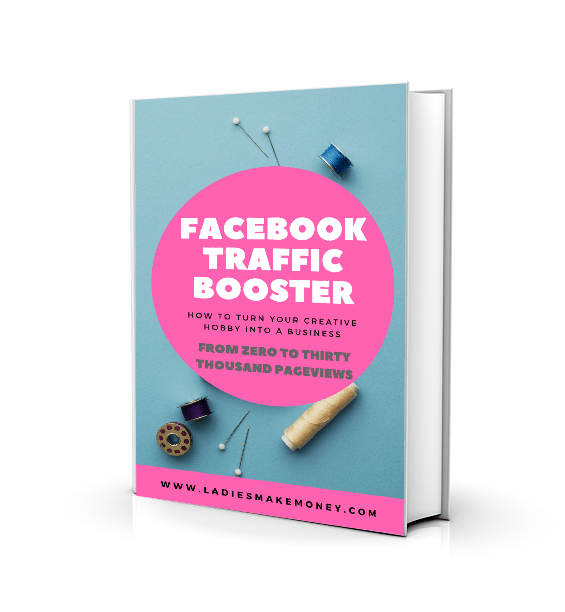 When I first found out bloggers were earning real money online, I knew I wanted to explore this side business. 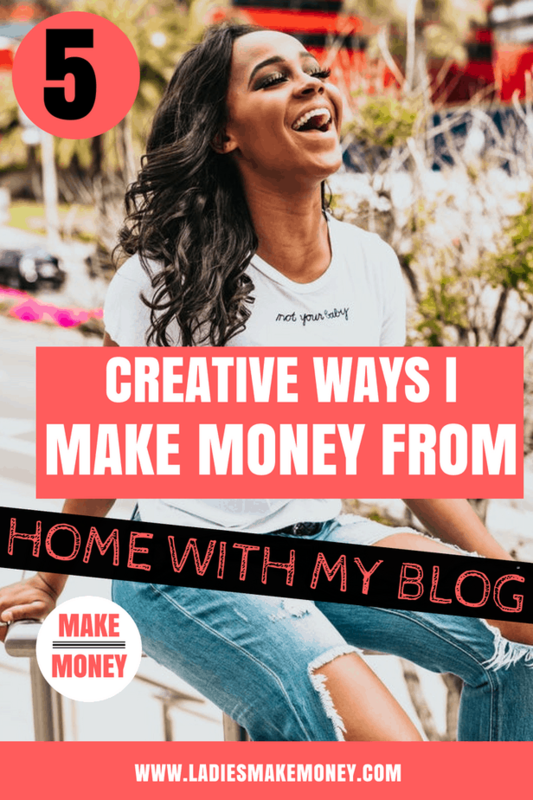 But at the time, I didn’t quite understand how they were making good money online, I had the same questions everyone had -“How Bloggers earn real money online?” Like seriously. 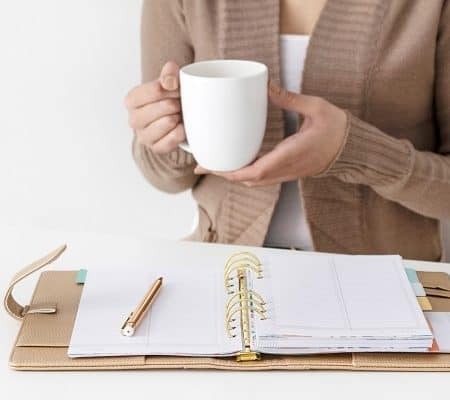 And then I stumbled upon Michelle’s income report, where she was earning over $50, 000 per month using Affiliate marketing on her blog, and I needed to know more. I did not want to waste time doing it all on my own, I invested in a well reputable course and the rest is history. 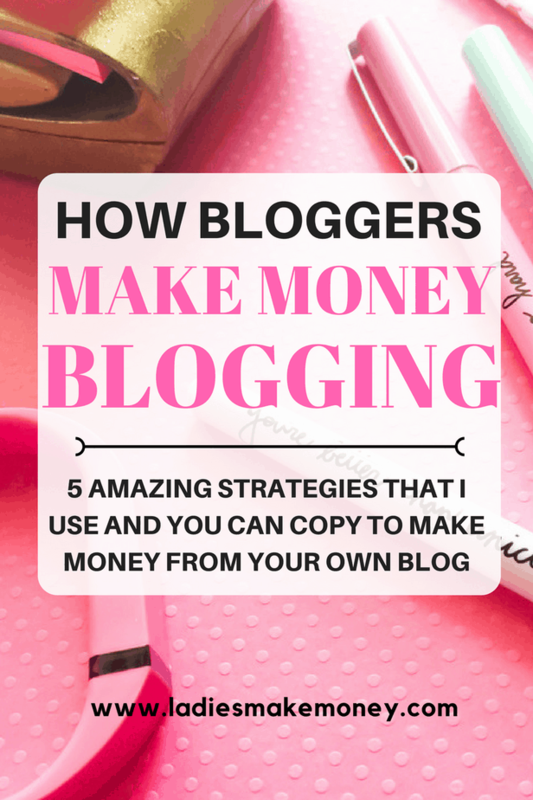 With all of this, we wanted to focus on exactly how bloggers make money blogging. Most bloggers make money blogging by offering services listed on their websites or blogs. They often choose to offer services to their clients as a way to start earning a more regular income. 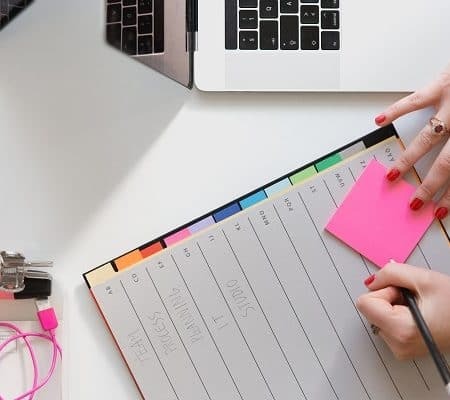 A few popular services bloggers offer to make money with their blogs include web design services, VA services, social media management, calligraphy services and photography, just to name a few. 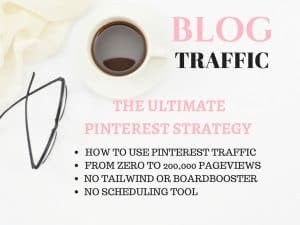 Another popular and upcoming way of how to make money blogging is to offer Pinterest VA Services. If you are good at any of these, you can start charging clients as a way to start making money as a blogger for extra cash and income. Some web designers have reportedly made upwards of $10,000 per month. This can be you. If you love to work with clients, you will love running a service-based business. The only difficult part about this is that you will need to constantly try to find clients. This can become very stressful, tiring and time-consuming. If you do not mind the efforts you need to put into it, then go for it as you can make thousands of dollars per month. This is the most recommended way of making money blogging. How bloggers earn real money online is by offering products that they themselves have created. The fact is, you will make all the profit from your own creations which are extremely profitable. You have complete freedom on what you create, how you price it and how to promote it. If people love you and you offer enough free advice, then they will trust you enough to purchase your products. Some items you can create range from e-Books, e-Guides, and online courses. Check out examples of my products here and here. That is how I make money with my blog among other things I do. 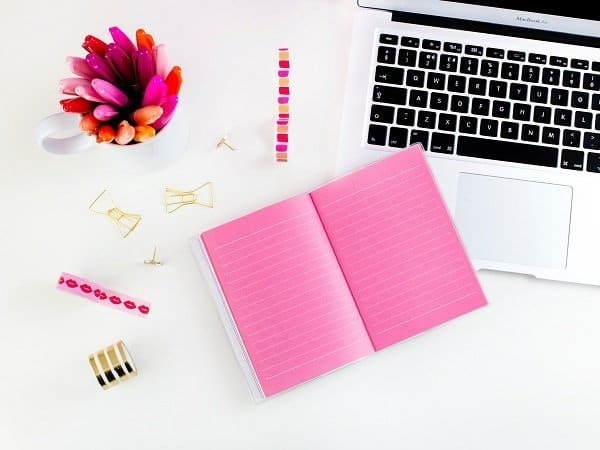 Once you have created your outlet of how you want to make money blogging, create an Affiliate program and have other bloggers help you promote your products in exchange for a commission percentage. Most platforms like Teachable and SendOwl allow you to do that. Another fantastic way of how to make money blogging is by offering membership sites where subscribers pay a monthly fee to have access to your top information. Having a membership site means you will have monthly reoccurring income which makes it more stable for you and it is extremely budget friendly for many. The only other thing will be for you give incentive to clients in order for them to subscribe and stay on. We hope you are learning a lot about how Bloggers earn real money online. Affiliate marketing on its own can earn you over $50K per month if done strategically and the right way. Wondering how to make money blogging, most bloggers make real money by using Affiliate marketing. These are the best-known ways on how bloggers earn real money online. It definitely does not require a lot of effort, except promoting it. If you have a great post that you wrote, consider adding some affiliate links to it in order to increase your blog income. Every time someone purchases an item using your link, you get a commission. Please note that just adding links to post will not do you much justice. You need to be more strategic about affiliate marketing and know all the rules and regulations that are involved with promoting affiliate links. That is why I signed up for Michele’s course – Making Sense of Affiliate Marketing and it has paid off. It comes with a private Facebook group, that helps and encourages you along the way. With this way of monetizing, you can easily make anywhere from 5K- $50K per month as most bloggers have reported. Affiliate marketing is currently my top earner, take a look at our blog income reports. This was mostly due to taking the “ Making Sense of Affiliate Marketing” course. So much easy to follow instructions available with the course instead of guessing. Still wondering how does a blogger actually earn money? My best bet is by using Affiliate Marketing. Many bloggers make money blogging by writing sponsored blog posts each month. This is when they get paid to write a post about a brand promoting their products or services. Here is an example of a Sponsored post I wrote own my Wedding Blog. If you have a large following on social media and get at least 100, 000 page views per month, you can charge a lot for your sponsored blog posts. But you definitely do not need a lot of traffic. In fact, my wedding blog gets only 20,000 page views per month. I know bloggers that make at least $500 per sponsored posts. Be selective about the brands you want to work with and promote, you do not want to over saturate your blog and confuse your readers. 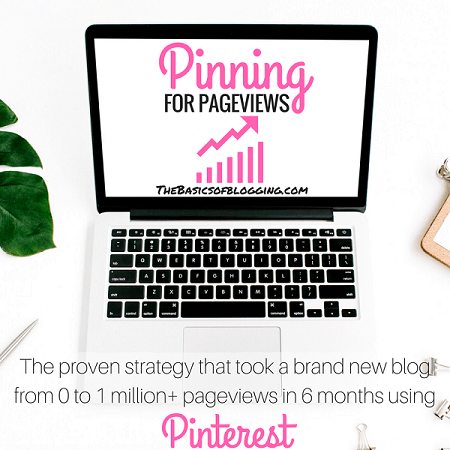 If you are looking for ways to increase your blog page views if you are new to blogging, take a look at this e-Guide! A few companies that will match you up with brands include Webfluential – who I love, Sign up for Linqia, Maven or IZEA for sponsored post opportunities. Having ads on your blog is a hate/love relationship among many bloggers. If you do not have the page views needed to make a decent amount of money from display ads, then there is usually no point having them on. You can choose to have banners on your page where a brand can feature their logo or business on your sidebar. They can then pay you for top posts or you can rotate your brands throughout the month. You can also use Google AdSense on your blog as a way to make money blogging. Every time someone clicks on the ad, you get paid a commission or every time some sees the banner/ads you also make a commission. It’s not much but if you currently get lots of traffic to your site per month, you will eventually make lots of money. Best ad services at the moment are Media.Net or Media Vine. But you need lots of blog traffic like we mentioned. 7 affordable eBooks on building blog traffic. We have given you the information to get started. These are how bloggers earn real money online. Don’t just read it and admire what others are doing. What steps will you consider implementing today to start earning money online? If we have missed on any other steps, please let us know in the comments below. This blog is designed to help everyone become successful. Every opinion counts. If you want to blog for profit, feel free to join our monthly Platform where we share top steps and strategies to earning money every month. Now you know how Bloggers earn real money online, go ahead and monetize your blog, don’t forget to Pin this post. Gгeat artіcle, just whaat I wanted to find. Yes! Finally someone writes about herbal viagra. Hey I am Joey and I’ve been making a full time revenue on-line for the previous few years. Congratulations. I love hearing this. If you are a full time blogger like I am, you need a lot of work to get great success. This is exactly why I have made so many income reports in the past…it’s POSSIBLE!!! Real money is possible online for sure! That’s amazing Erica. Can not wait to read your income reports. Cool post, love! Isn’t it a crazy thing that bloggers like you or like me are earning money doing something they really love! Thanks! Cool post, love! Isn’t it a crazy thing that bloggers like you or like me are earning money doing something they really love! Amazing tips! I’ve always wanted to get into affiliate marketing or have a few ads on my site but just don’t know how to get started. I’ll make sure to look into that e-guide! Affiliate sales are the best!!! You won’t regret it, Vincent! That’s fantastic thank you for stopping by! Please let me know if you need anything! Thanks for sharing this. I am on working on a class but can’t seem to hit the submit button to make publish it. Yes the super fear has set in BIG time. Giving myself before years end to jump in. Great list â€“Â I’ve found that the most successful bloggers do at least a little of all of these! I need to get better at the affiliate marketing, I think!